Munich – Personnel problems and prospects. With the Bundesliga restart just a few days away, how are the clubs shaping up for the start of the second half of the season? bundesliga.com is putting all 18 clubs under the microscope. In this edition, we take a look at the clubs from 16th-18th: SC Freiburg, 1. FC Nürnberg and Eintracht Braunschweig. Although the Sport Club have not signed anybody yet this winter, they can look forward to welcoming back some key injured players: right-back , defender Vegar Eggen Hedenstad and captain . was their most dangerous weapon, even though he missed a lot of chances. Freiburg’s biggest shortcoming during the first half of the season was in their attack, with the least shots on goal (166) in the league. Therefore, their hopes rest on the shoulders of Czech midfield duo and , as well as forward Marco Terrazzino. "We have the opportunity to make it more difficult for our opponents than we did in the first half of the season“ explained coach Christian Streich. The SC need to show their passion from last season, pressing their opponents endlessly and making them do the running constantly, in order to fight for those much-needed points. Did you know that… SC Freiburg have one thing in common with their next opponents Bayer Leverkusen - both their midfields are proving pretty toothless. Freiburg’s midfielders have scored only seven times while Leverkusen’s midfielders have netted only six (worst in the league). Unfortunately the indispensable was injured in the mid-season friendly against the side from Bucharest and he will be missing for four to six weeks. Defender was also injured and will be out for the same amount of time as Hasebe while goalkeeper missed training recently due to a knee injury. Fortunately, however, Ondrej Petrak the new Czech under-21 international, can play in defensive midfield and as a centre-back. Der Club have had major problems with their efficiency in the first half of the season. They seemed to dominate countless games but failed to capitalise on their opportunities, failing to score all too often. The team from the Bavarian city of Nuremberg have conceded 33 goals - only Hamburger SV, 1899 Hoffenheim and SV Werder Bremen have let in more. Nürnberg are yet to win a match in 17 games this season and have only earned eleven points. Nevertheless, after many of their matches the phrase “if we always play like we did today, we definitely won’t be relegated” was muttered. Sporting director Martin Bader is much more realistic admitting that “it seems like we have 17 finals ahead of us”. Did you know that… in 68 Bundesliga matches for Der Club, Per Nilsson has scored an impressive ten times. For Hoffenheim he didn’t score once in the Bundesliga and Bundesliga 2 (45 games). 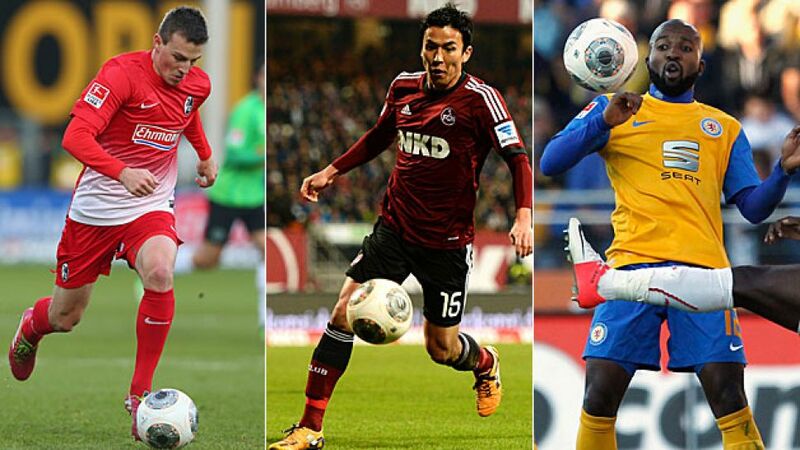 Braunschweig are relying on recently acquired forward . The Norwegian scored a goal in the friendly against Almelo, however, he has been suffering from some muscular problems. Gianluca Korte (cruciate ligament), Damir Vrancic (Achilles), Timo Perthel (muscular problems), Marco Caligiuri (knee) and Dennis Kruppke (muscle tear) are still injured. Long term-absentee Jan Hochscheidt who said “it is like a new beginning for me”, is looking forward to his comeback. The team from Lower Saxony only scored ten goals in the first 17 matches, so they drastically need to improve in that aspect. They averaged 44 per cent possession which is the lowest in the league. Did you know that… in 1967, Braunschweig also played against SV Werder Bremen in their first game of the second half of the season and won 3-2. They went on to win the league that year.